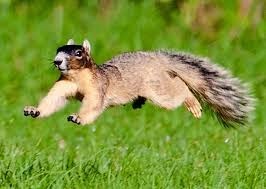 In the last few days I was reminded about the fox squirrels down home around my hometown of Beloved. Accordin' to what I've read they are the largest squirrels in North America, maybe the whole doggone world, I reckon. Though I don't often tell stories on myself, the reminder has done thrown me back to a story from my misspent youth. I was about eleven or twelve when it happened, don't you know. It was fall an' the leaves was beautiful, red, yellow an' orange all over the mountainsides. Daddy an' Mama had left me to visit with Grandma an' Uncle Buck for a week or two up on Double Creek. I remember it like it was yesterday. They had left brother Mike with Mama's sister, Aunt Geneva's for a while an' handed me off to Grandma an' Uncle Buck. I had hardly got out of the back seat of the car when Daddy took off. I heard Mama say, "I ain't give him his clothes yet." Daddy, bein' the lovin' parent that he was stopped long enough for Mama to toss that cardboard box of clothes toward me. Well, actually she tossed them into the weeds. They was off like they was bein' chased by a devil. It weren't a devil though. It was only me chasin' 'em an' throwin' rocks. Sigh. Good memories. I got settled in at Grandma's house an' commenced to wander the woods. Ever' day I would sit an' listen to the birds, the sounds risin' from other cabins further up Double Creek. I also heard the barkin' of hundreds of them ol' fox squirrels. All over the ridge of the mountain they ran, up an' down the dry branches, climbin' the oaks for the acorns they hadn't grabbed an' hidden yet. The gray squirrels was up there too, but agin the fox squirrel gangs they stood little chance cause they was so much smaller. They got by with stealth an' bein' sneaky. The fox squirrels survived by muscle an' strength. Well now, my Grandma made about the best fried squirrel an' squirrel dumplin's the world has ever seen. We was sittin' at the table one day an' I asked Grandma if she would fix some squirrel dumplin's an' she said if Uncle Buck would shoot some she would. He grinned that crooked grin of his an' said "Sure nuff. We'll go tomorrow". The next mornin' Uncle Buck woke me early an' told me to get dressed. I met him at his ol' pickup truck an' we was off. He drove us way up to the mouth of Double Creek before we stopped. He said he didn't want to get them fox squirrels close to the house riled up, y'see. When we got out I grabbed my 22 rifle. Daddy had always said a feller needed to learn to shoot squirrel with a 22. Shotgun pellets tore the meat up too much. Uncle Buck took a minute to grab a big ol' army backpack which he shouldered an' then he picked up a 30-06 rifle out from behind the truck seat. I sort of figured he was afraid we might see a bear or maybe a panther or some such. I didn't know exactly what he had in that backpack for it seemed to be awful heavy as he shouldered it. We climbed the mountain real quiet like. It was a right smart piece up to the top. We had to stop several times for Uncle Buck to rest. I just figured he was a'gettin' old. Heck, he was about 33 at the time. Ancient, as far as I was concerned. We snuck along the ridge for quite a while till I heard that familiar bark of a fox squirrel. Uncle Buck shushed me an' took the backpack off his shoulders. I watched an' was sorta surprised when he took out a big ol' grapplin' hook, a big ol' long coil of heavy rope, about 30 feet of log chain an' a come along. We left his supplies by a huge oak tree, about eight feet 'round an' commenced sneakin up on that fox squirrel. As we tippy toed our way closer, I kept seein' stumps along the way that looked almost like a beaver had chewed the tree down. I whispered to Uncle Buck my opinion about the stumps an' he whispered "Nah, it is that fox squirrel what did that.". Now,I won't lie. I was lookin' forward to the hunt till he said that. It was at that moment that we came out of some tall sweet grasses an' saw it right 'bout 50 yards away. It was huge! It had a tail must-a been five or six yards long! Each back leg had hams that was as big as a full grown hog. It had to be 25 or 30 hands tall. It was way bigger than their ol' mule an' he was eighteen an' a half hands tall at the withers. Uncle Buck handed me the 30-06, tol' me to creep over to a hickory tree, put my back to it, aim the rifle an' fire. I did just that, not knowin' where Uncle Buck went to. That rifle went off "Balooie" an' it threw me plumb on my back an' into the weeds. As I laid there stunned dumb as a rock I heard a terrible barkin' an screechin' goin' on. Trees was a fallin' all 'round an' Uncle Buck was a whoopin' an' hollerin' to beat the band. "You hit it! You got him!!" I got up, brushed myself off just in time to see Uncle Buck throw that grapplin' hook. It landed in the scruff of that fox squirrel's neck. 'Course it was tied to that big ol' rope an' the rope was tied to the log chain an' he was a' tighten' it up with the come along. The log chain was wrapped aroun' the biggest white oak on the ridge. Uncle Buck waited till the rope an' chain was pulled tight by the carryin' on of that squirrel. He then ran up the chain, up the rope an' onto the back of that terrible thing! I wasn't too bad scared till it turned an' bared its fangs at me an' barked loud, like it was a callin' others to help it. 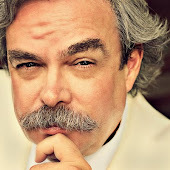 That was when Uncle Buck pulled out a long leather belt an' leaned down to wrap that belt around the muzzle of that dang fox squirrel so it wouldn't bite him or me or call to the herd of fox squirrel livin' on the mountain. I heard the rumblin' an trampin' of other fox squirrels comin' toward us till Uncle Buck wrapped that belt around the muzzle. When it stopped a' callin' the others stopped, listened an' went back to their business. I won't plump up the story an' tell y'all lies about that day. I'd rather eat fried chicken than lie to y'all. It was a battle, though. Uncle Buck wrassled an' rode that thing up an' down the hollers, round the hill as it knocked over tree after tree, pulled some up by the roots, big ol' trees, a hundred foot tall or more. It would toss them toward its own back tryin to hit Uncle Buck. Just to give you an idea of how bad the battle was, Uncle Buck was able to log that mountain for three years just by cuttin' up the trees that fox squirrel had torn out or knocked over. It pulled that big ol' white oak out by the roots an' as it wallered its way down the mountain it made a wide an' straight swatch down the hillside. It was such a straight swatch of clear mountainside that the Rural Electric Company was able to use that path to put up them big ol' electric towers along the path an' bring electric to 700 families up an' down the Red Bird River, thanks to my Uncle Buck an' that fox squirrel. By the time they was down from the mouth of Double Creek an' to the bottom of the hill folks had heard the carryin' on' an' had gathered at Grandma's house to wait. As Uncle Buck came into view a' ridin' that gigantic squirrel they commenced to clappin' an' cheerin'. They was gonna be enough squirrel meat to feed more than a dozen families for the winter. Finally Uncle Buck knew it was time to stop before that squirrel tore up my Great Aunt Maggie's cabin what was right across the creek an' which was bein' slapped by that fox squirrel's tail. He took out a little ol' ball peen hammer from his pocket an' tapped that fox squirrel right between the ears. It fell over deader than a door knuckle. They have a soft spot between the ears like a lot of folks have, don't ye know. Ever' one gathered round the carcass and before you knew it they was hams an' squirrel bacon salted an' hanging in smokehouses up an' down the holler. They was a grindin' squirrel sausage, addin' salt, sage an' other spices. 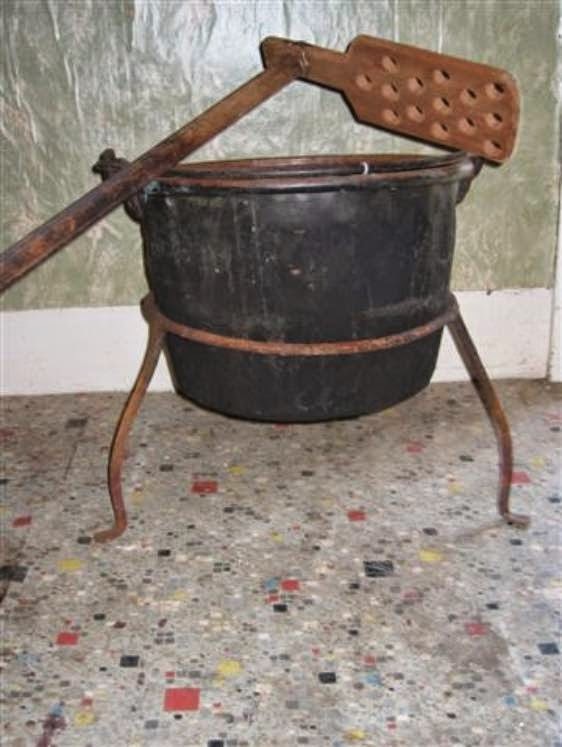 The backstrap was given to Grandma an' with the help of five or six other womenfolks she started a fire an set on it her big ol' copper pot that she usually made apple butter in. the youngins, includin' me hauled over 300 gallons of spring water to fill that copper pot. When it was boilin' they threw in the backstrap chunks, salt and other secret ingredients, Eleven secret herbs an' spices in all. That pot simmered an' cooked for hours. The womenfolks sat an' worked on quilt pieces while they waited. The menfolks skinned out the fox squirrel an' since the hide was too big for Grandma's barn alone, they scraped it, cut it into pieces, salted it an' nailed it to the sides of fourteen barns to cure. It looked like ever' barn in the holler had a red fur coat on that fall. When they was a' gradin' their 'baccer crops, tyin' hands an' puttin' 'em into the 'baccer presses they didn't hardly need a fire in the woodstoves. Them pieces of that fox squirrel's hide kept them barns that warm. Finally, Grandma said it was time for the dumplin's. Man, oh man, did them women hurry and grab flour, salt an' all the fixin's. Some made drop dumplin's, other rolled them out. Grandma supervised after she made her own an' tossed 'em in. She used her long apple butter stirrer to make sure the dumplin's didn't stick together. It didn't take long for the dumplin's to be done. Grandma's was so light they had to put a fish net over the top of the kettle to keep them from floatin' off. My cousin, Peanut heard they was gonna be some dumplin's fed to folks an' he showed up with the whole Chappell Clan; Vergie an' Mizz Chappell, Brother Woodrow Budder and Peanut's sister, Sister Hazel Nutt Budder, Peanut's brothers Wally Nutt Chappell, Ol' Hickory Nutt Chappell, Cornelius Nutt Chappell (we called him Corny Nutt). They was Nutts all over the place. Plates an' bowls was brought from all up an' down Double Creek. Folks ate with forks, spoons an' even their fingers. Long saplin's were laid out that was sharpened to a point an' with a barb to spear the extra light dumplin's as they drifted up from the broth an' skyward. "My, oh my, oh my" was all a feller could say. It was some kind of mountain feast. Most folks was so full an' worn out from the eatin', the preparin' an' the storytellin, singin', the playin' of fiddles, guitars, bannjers an' other instruments that many stayed right there at Grandma an' Uncle Buck's place. Must'a been fifty or so that slept in the hay loft. Hundreds of eggs, dozens of slabs of bacon an' fourteen hams was brought the next mornin' as the womenfolks made breakfast. The men cleaned up the mess from the day before an' started boilin' the bones to make broth an' then to clean the bones up good. For years fellers played fox squirrel bone whistles, youngin's rode on stick ponies made from longer bones. One feller asked for the big bones an' made a honeymoon cabin for him an' his new bride. Grandma used the skull of that critter as a hen house for years. Yessir, that was a fine visit with Grandma and my Uncle Buck.